The intersection of the Roosevelt Boulevard and Bingham Street in the Olney section of Philadelphia. A woman has reportedly died after she was hit by a vehicle on the Roosevelt Boulevard in the Olney section of Philadelphia. The incident occurred Friday around 5 p.m. near the intersection of the Roosevelt Boulevard and Bingham Street. According to NBC10, a 20-year-old woman was jogging when she was struck by a 2012 Chevy Equinox while crossing the Boulevard against a red light. The woman was rushed to a hospital where she was pronounced dead. 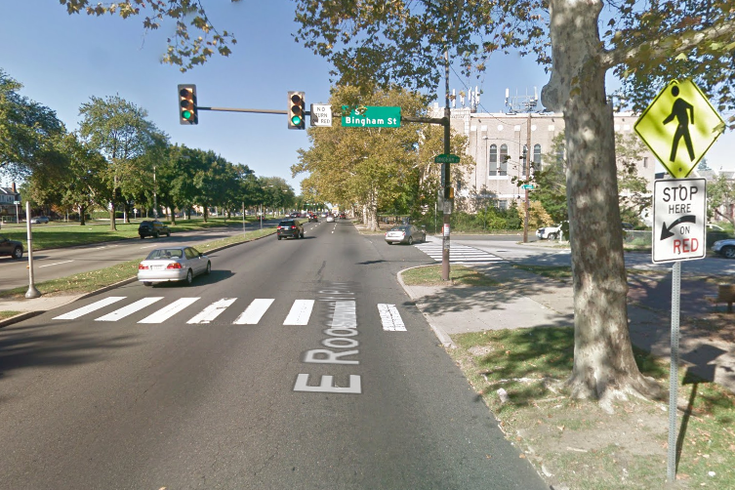 The driver of the vehicle had recently crossed over from the inner lanes of the Boulevard to the outer lanes before striking the victim, philly.com reports. The driver remained at the scene. The victim and the driver have not been identified by police.